The subconscious is the authentic program of our lives. Hypnotherapy gets to the truth of inner programming and will powerfully assist in success and self confidence. .
Lydia Martin’s story speaks clearly to that and the healing of her anxiety. She was lacking confidence in public speaking and presenting herself. She was a miss Alabama contender and had won several titles but she couldn’t express herself in front of an audience, so she missed out on her dreams. 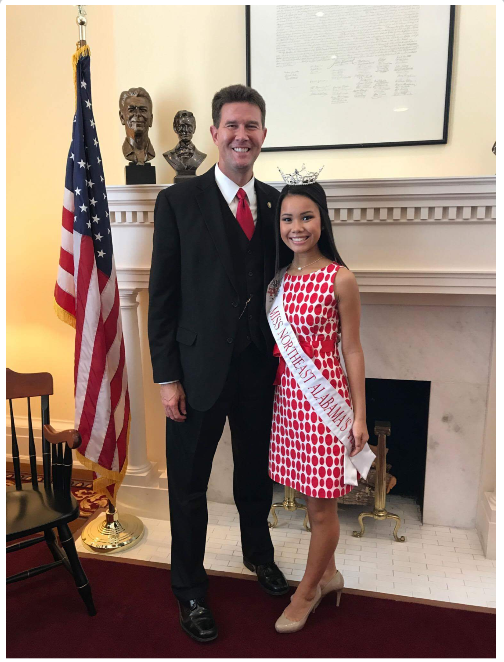 I wanted to share with you that Lydia had a meeting with the Secretary of State today and while speaking with him, she was just as cool and confident as I have ever seen her be. She never stumbled or said “um” or “uh” even once. I have to say that her hypnosis sessions have REALLY worked! She said she wasn’t the least bit nervous! Make your success connection with hypnotherapy at http://www.alabamahypnosisclinic,com. Stay in touch with a like on our Facebook page.